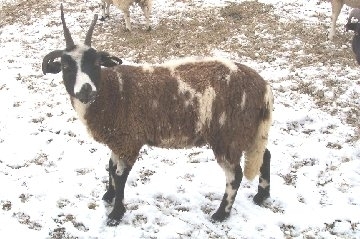 Jacogin Mayapple is a ewe who came to me from West Virginia. 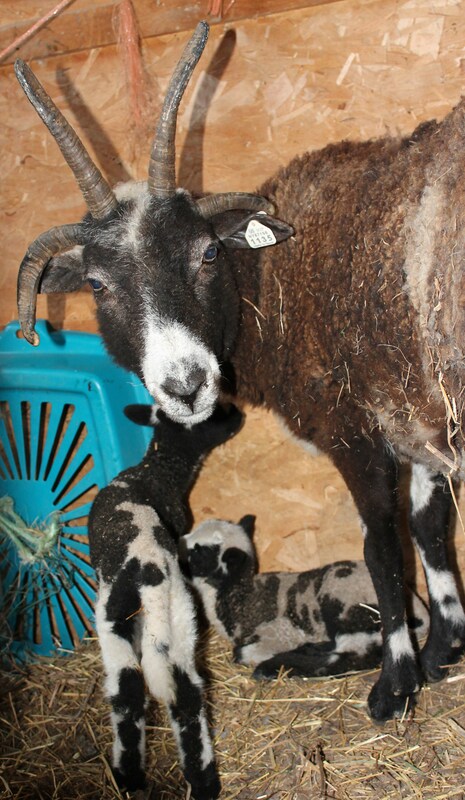 Cheryl from Painted Rock Farm was kind enough to truck Mayapple and two other ewes (Ivory and Isis) the first leg of their journey, to meet me at the Maryland Sheep and Wool Festival. 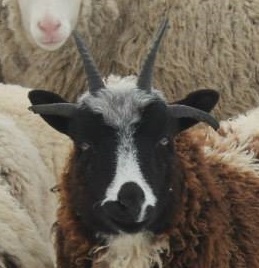 Mayapple, and the other ewes from Painted Rock Farm, joined two ewes from Ridgecroft farm in NJ back to Spot Hollow Farm NY. Mayapple first drew my eye because she reminded me of my first ewe, Athena. 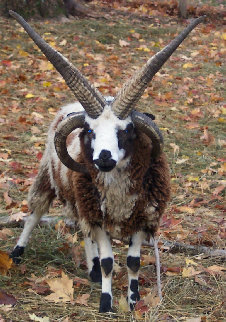 She was dark, had four nice horns (actually, Mayapple has five horns) and a lot of leg flash. Mayapple also had some interesting lines (including some lilacs) and a very primitive look – including a lovely hock-length tail. However, when Mayapple was delivered to me, she was tail-less! Apparently, shortly before her trip North she narrowly avoided becoming coyote bait, but her tail was less fortunate. Another thing I love about Mayapple is the lambs she produces! 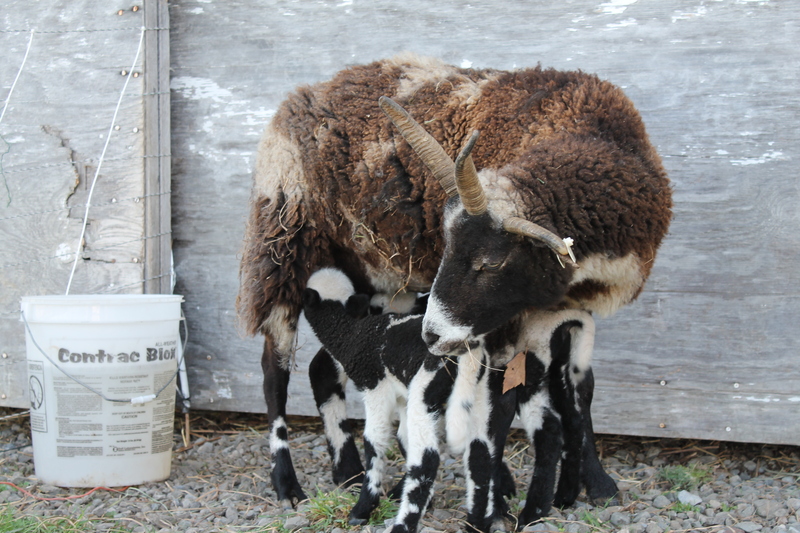 Her first lamb, a ram named Jeb, was a flocksire at Painted Rock for a few years – he had quite an impressive horn set (which is typical for Mayapple). Jeb, Mayapple’s son at 2 years old. Susie at 8 months old. In addition to her strong preference in boyfriends, Mayapple has another quirk – she is missing a rib. I noticed this the first time I sheared her – I had never seen this before (although I have heard of it), so it was surprising to find under her wool – at first I thought she must have been hurt sometime or another, but upon closer inspection she appeared to have been born that way. 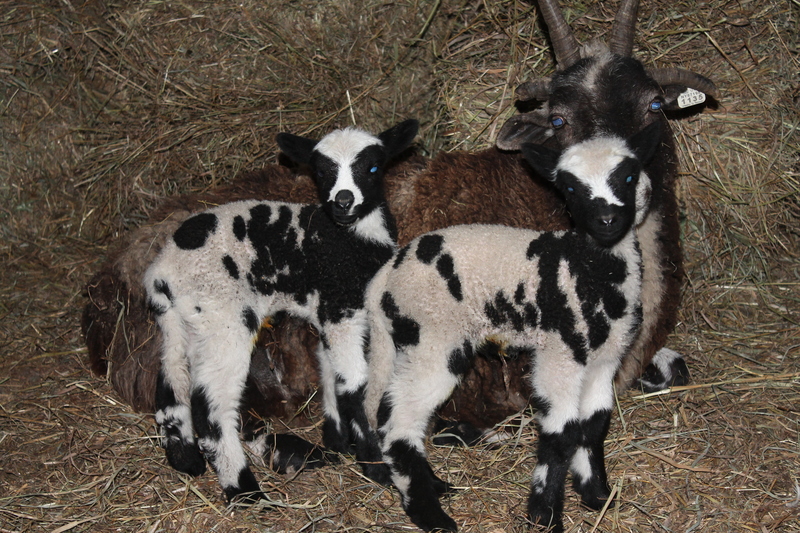 It doesn’t seem to stop her from producing lovely lambs every year (and she hasn’t passed this odd trait on yet).